Red Bridge Shopping Center is located just south of Interstate 435 on the southwest corner of Red Bridge Road (111th Street) and Holmes Road in Kansas City, Missouri. The Red Bridge neighborhood was developed by J.C. Nichols and includes a mix of residential, office and retail. Red Bridge Shopping Center is a 144,660 square foot grocery and drug store anchored center. The Minor Park Golf Course is located across the street east from the center. 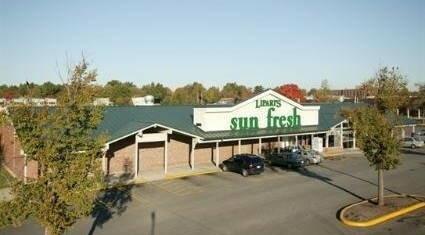 Red Bridge consists of a main strip center plus two additional buildings, one of which is occupied by Sun Fresh Supermarket and the other by Omnicare Pharmacy. These anchors serve a very stable population base. Red Bridge Shopping Center is in close proximity to the affluent Hallbrook subdivision, in Johnson County, Kansas, and Blue Hills Country Club. Red Bridge Shopping Center has a total leaseable area of 143,171 square feet. Our tenants include Lipari’s Sun Fresh, Omnicare Pharmacy, Glenwood at Red Bridge Theaters, Dos Hombres, Pulse Performing Arts, Edward Jones, Benefit Health & Fitness, Curves, Invisible Fence, Red Bridge Kennel, Quality Nails, American Rare Coin, Daily Limit, Red Bridge Beauty, China Dragon, Red Bridge Barber Shop, Dunn Bros Coffee, Red Bridge Tailor, American Family Insurance, Christian Science Reading Room, Young’s Deli and a ground lease with La Petite Academy. 6 suites are available ranging from 1,219 SF to 29,948 SF.